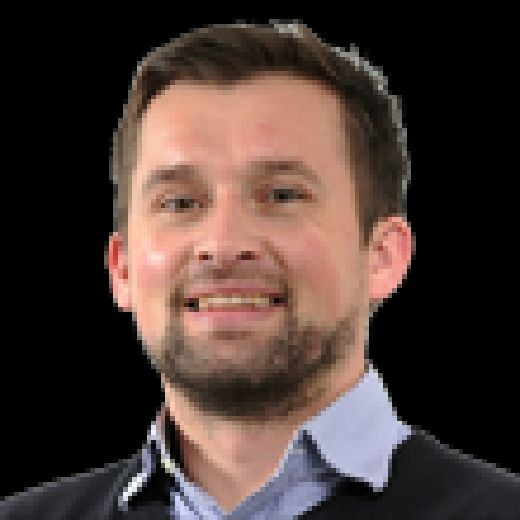 FOR ANYONE on the outside looking in as Hull FC begin their Super 8s campaign, it might look if as if they have very little to play for. Marooned in sixth, seven points adrift of the all-important top four, they already have almost no hope of securing a semi-final place even before tonight’s game against Wakefield Trinity. For a club that has come within 80 minutes of Old Trafford the last two seasons, that hurts. Furthermore, their hold on the Challenge Cup, which they have conquered during those last two campaigns, has long slipped too, so it is easy to see why the East Yorkshire club could find themselves sleepwalking towards the end of what has been a disappointing campaign. However, from within the Airlie Birds’ inner sanctum, head coach Lee Radford paints an entirely different picture. In his eyes, there is so much left to achieve over these next seven fixtures and, indeed, it is imperative in many ways that they do. Firstly, Hull, who like many, have been dogged by injury problems, are ensconced in a worrying four-game losing run. What could have gone wrong that day did go wrong. But it’s the beauty of the sport; we get chance to fix it up within three games. If they do not correct that soon, it could easily become far worse and unnecessarily undo plenty of the good work Radford’s side have actually managed in 2018. But also, let’ s not forget, it was only two games ago that Wakefield, currently just a point behind Hull, inflicted an utterly embarrassing 72-10 defeat on them at Belle Vue. “We do need to finish the season in good form with some feel-good behind us,” insisted Radford, whose side followed up with a 20-16 home defeat to Hull KR before the Challenge Cup break. “We’ve changed some things leading into Friday and I’m really looking forward to seeing how they pan out. “We’ve actually had some time on the (training) field these last two weeks which is great as well and also some opportunity to get some blokes looked after who needed looking after. I’m looking forward to now facing Wakefield. “The fact we got humiliated like we did at their place, I can only presume as a player you wouldn’t need much motivation from anywhere to put in a performance on Friday night, that’s for sure. After that record-breaking defeat, Radford admitted he brought too many players back from injury all at once, a gamble that clearly backfired. But the likes of half-back Marc Sneyd and prolific winger Fetuli Talanoa should now be ready to give a better account of themselves while prop Chris Green returns after missing the last two games with a back problem. Loose forward Dean Hadley (ankle) is not quite right while Radford has confirmed Albert Kelly, the Australian shortlisted for Man of Steel last term, will not play again this season due to an ongoing head issue. 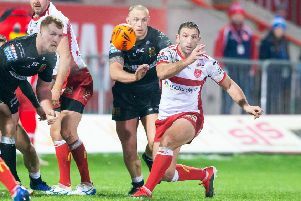 The gifted stand-off has suffered three concussions this season and has not played since the loss against St Helens on July 13. He now joins Joe Westerman, Jake Connor and Josh Bowden in being ruled out for the rest of the campaign and Radford explained: “It’s not worth risking him now. “And I don’t think you’d get the green light anymore. There is an unbelievable amount of scrutiny with regards to head knocks now. Young Jordan Abdull will continue in the halves, then, but no major new signings expected for next season is another reason why it is important this current side starts gelling again; this is generally what they will have to work with in 2019. “I think for some players within this group there’s no pressure,” continued Radford, whose side lost six from seven Super 8s fixtures when in a similar position in 2015. “Jordan Abdull, for example. Albert Kelly is not coming back anytime soon so there’s a spot there for him and there’s no pressure on him. He can go perform. For some, like Sneyd and Talanoa, who probably came back from injury too soon, they need to find a bit of form and rhythm before the end of the year. “And for some others, like Josh Griffin and Sika Manu who missed an awful lot of games, they need to try pick up from where they left off prior to their injuries. “Collectively, everyone has a reason to play well. Getting some good form and getting some excitement going into next season is important. “Having reviewed the game back I thought we were outstanding defensively against Hull KR.